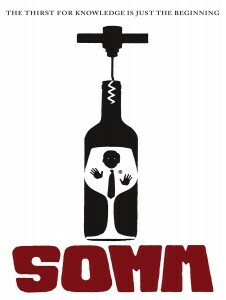 Join Aspen Film and the Aspen Young Professionals Association for a screening of the film SOMM, the riveting documentary of four sommeliers attempting to pass the prestigious Master Sommelier exam. Dubbed “the hardest test in the world,” hopeful wine professionals prepare years for a 25-minute blind taste test, an oral theory exam and a practical service component. Fewer than 200 people in the world have ever earned the title Master Sommelier, but one of them is Aspen’s own Sabato Sagaria of The Little Nell, who is one of the many wine professionals in the film. The evening includes wine, hors d’oeuvres, a screening of SOMM and of course, a Q&A with Sagaria and other sommeliers immediately following. Invite your friends for this after-work event featuring the a film about the fetishism of mastery, dedication and obsession, and of course, great wine. There will also be a chance to buy tickets for the 35th annual Aspen Filmfest, Sept. 25 to 29. Tickets: $25 for members of both Aspen Film REEL People and Aspen Young Professionals Association; $35 for members of the public. Special thanks to American National Bank, Banfi, Ruinart, Limelight Hotel and Aspen Young Professionals Association.